Global trade agreements are either bilateral or multilateral agreements between two or more governments that govern the trade policies between their countries. Here is a look at whether or not they may impact your small business supply chain. The North America Free Trade Agreement (NAFTA) and the Trans-Pacific Partnership (TPP) are two of the more commonly known trade agreements, but there are a host of others that govern trade between countries. Some of these trade agreements are between countries within specific geographic zones and countries with common borders (NAFTA, for instance, or the Gulf Cooperation Council, also known as the GCC, whose members include six Arab states, i.e. Saudi Arabia, Oman, the United Arab Emirates, Kuwait, Bahrain, and Qatar). Other trade agreements cover broader geographic areas and were executed because of the perceived economic advantages for member nations to agree to specific trading rules. The TPP is an example of a trade agreement with member nations as far apart as Australia and Canada. The United States was part of the TPP until January 2017. The question of whether your small business supply chain might be impacted by a trade agreement might be answered by looking at whether your small business is an importer (or buys imported goods) or an exporter (or sells goods that are exported) or neither. Let’s look at the “neither” answer first. You’re probably very clear as to whether you are an exporter or not. If you ship your product outside your specific country of origin, you are an exporter. But, also, if you ship your products to a third party (a distributor, for example) who ships your products outside the country, your products are exported — even though you may not be the exporter of record. Let’s assume you don’t do either of these two things. But are you an importer? You might be tempted to say no, simply because you don’t buy anything from a supplier outside of your specific country. And, technically, no you’re not an importer. But if you buy goods — either a component or raw material or packaging — that has a “Made in X” where that “X” isn’t the name of the country you live in, you buy imported goods. And, therefore, trade agreements might impact your small business supply chain more than you think they do. The real answer of “neither” means that everything your small business sells is sourced and produced in your country of origin and is sold (and stays) inside that same country of origin. If that’s true of your small business, then trade agreements have little to no direct impact on your supply chain. Many small businesses are able to compete in the global marketplace because they source all or some part of the products they sell from low-cost manufacturing locations. Now that the United States is no longer part of the TPP, tariffs on imported goods from China, Malaysia, Vietnam and the other TPP partner nations are not subject to multilateral agreement (with the exception of Canada and Mexico, for the time being, since Canada and Mexico are signatories of both the TPP and NAFTA). 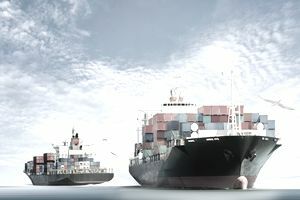 When two countries are subject to the provisions of a trade agreement, there are baked in assurances as to how pricing between companies in those countries can be governed. Oftentimes, this means that a country with lower labor costs will benefit from the lowering of or the elimination of tariffs of a higher cost partner country. NAFTA is an example of an agreement that increased exports from a lower cost manufacturing location (Mexico, in this case) to a higher cost partner country (the United States). If you are a small business in the United States and your supply chain includes parts that you buy directly from Mexico — or are made in Mexico and you buy from a third party in the United States — your supply chain is being impacted by a trade agreement. Trade agreements typically allow importers (or businesses who procure imported goods) access to lower cost goods. This can allow lower cost goods to flow more freely through the higher cost partner country. A counter-argument is that these trade agreements prevent the manufacture of certain goods in those higher cost partner countries. Any of those are courses of action are within the scope of any optimized supply chain. If you ship to another country (or sell your product to someone who ships it to another country), then — at some point — tariffs might be levied against your products. Those tariffs mean that the buyers of your product are paying more for them than you might realize. But if your country of origin and the receiving country have a trade agreement in place, then the end users of your product may be purchasing your product because they can purchase it more cheaply from you than they can from another country (without a trade agreement in place). As an exporter, you may be more in favor of keeping trade agreements intact since they might give you a competitive advantage in certain foreign markets. For example, NAFTA is one of the primary reasons that, if your small business is corn farming, that you might have sold some part of the twelve million or so metric tons of corn that the United States exported to Mexico in 2016. Before NAFTA, your corn farming small business would have been met with a greater than 10 percent import tariff on the corn you tried to Mexico. But NAFTA lowered that to about 2 percent. If you were a typical corn farming small business, you likely saw your exports to Mexico increased by almost twenty times. If your small business was making labor-intensive products in the United States before NAFTA and you saw business owners moving that type of production to Mexico to take advantage of lower labor costs, then you can see what the impact of that trade agreement was. Conversely, if your small business was as a corn farmer in Mexico — you might have seen a different NAFTA impact on your small business as Mexico began buying most of its corn from the United States. As a small business owner, you should recognize what position your supply chain occupies with regard to global trade. Trade agreements likely impact your costs and ability to deliver to your customers. And if those trade agreements are modified, re-negotiated or eliminated, you need to know how your supply chain will be affected.